Ever wondered what all those different letters and abbreviations in the name of your lens actually mean? Well, here's our easy guide to the lens manufacturers' terminology. Part 1 covered Canon lenses, and in part 2 we look at Nikon lenses. AF - Denotes that the lens uses Nikon's first-generation autofocus system, invented in 1986. It requires an autofocus motor in the camera, and uses a mechanical coupling between the camera and the lens. AF-S - Denotes that the lens uses Nikon's second-generation autofocus system. It uses an autofocus motor built into the lens to offer fast and silent autofocus. Every Nikon DSLR supports AF-S.
D - Indicates that the electronics in the lens tells the camera the distance at which it's focussed, which in some situations allows the camera to make better decisions regarding exposure. DC - Nikon's totally unique, patented, Defocus Control. It's only available on a couple of specialised lenses, and it allows photographers to control the bokeh (the quality of the out of focus areas) in their images. It's a subtle effect - it is not the same as 'soft focus' - but it can be great for portraits. DX - Denotes that the lens is designed especially for cameras with 'crop' sensors, which are conveniently designated by Nikon as 'DX' cameras. ED - Stands for Extra-low Dispersion, and it refers to a type of glass which Nikon invented back in the 1970s. ED glass provides better correction of chromatic aberrations than "lesser" glass. F - Nikon's standard SLR/DSLR lens mount, which was introduced in 1959, is known as the F mount. FX - This is actually a designation for cameras, not lenses. It denotes that a camera has a 'full frame' sensor, the same size as a frame of 35mm film (i.e. 36mm x 24mm). 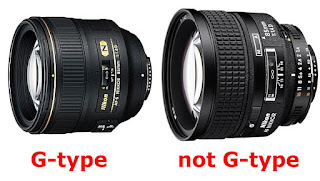 G - G-type lenses don't have rings around them to allow you to control the aperture manually. IF - Internal Focussing. It means that when the lens is focussed (either automatically or manually), all the moving parts are internal. The lens barrel doesn't extend or rotate. N - Nano Crystal Coat. This is an anti-reflective coating, applied to some of the optical elements of a lens, which reduces internal reflections, ghost and flare. PC-E - This denotes a perspective control (a.k.a. tilt-shift) lens. Tilt movements alter the angle of the plane of focus relative to the sensor plane, which makes broad depth-of-field possible even at larger apertures. Shift movements slide the optical axis of the lens along the sensor plane, enabling photographers to correct or alter perspective. 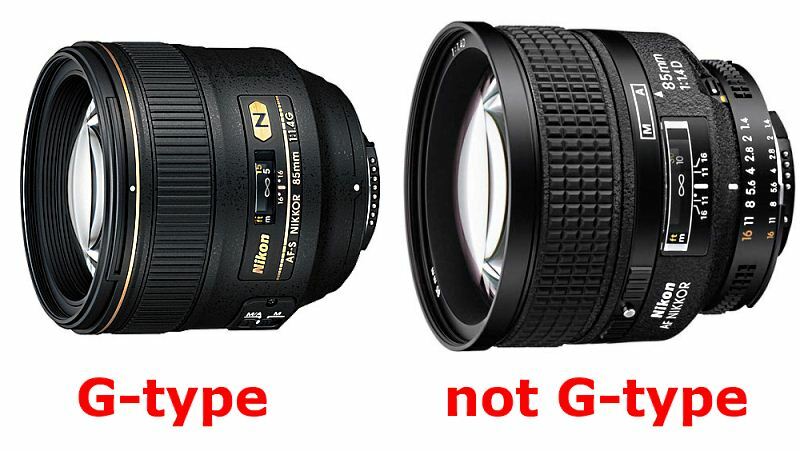 All Nikon PC-E lenses are manual-focus only. SWM - This stands for Silent Wave Motor and it's a description of the technology which is used in AF-S lenses. VR - Vibration Reduction. This is a technology incorporated into some lenses (mainly telephoto lenses) to cancel out the effects of hand-held camera shake. It allows you to shoot with slower shutter speeds without suffering from image blurring caused by camera shake. VR II - Some people think this denotes Nikon's 2nd-generation (i.e. improved) VR system, but it ain't necessarily so.